ATLANTA (AP) — Singer Bobby Brown will receive a proclamation from a metro-Atlanta city to build a domestic violence shelter in honor of his late daughter, Bobbi Kristina Brown. ATLANTA (AP) — Bobby Brown often broke into tears as he watched scenes being filmed involving his daughter's death for his upcoming biopic. SANFORD, Fla. (AP) — Nick Gordon, the ex-partner of Bobbi Kristina Brown, has been arrested. The Orlando Sentinel reports the Seminole County Sheriff's Office deputies responded to calls about a possible domestic disturbance around 1 a.m. Saturday. An arrest report says his live-in girlfriend told deputies she'd picked up Gordon from a Sanford bar and that he began to strike her on the right side of her cheek area several times. STILLWATER, Okla. (AP) — Kansas State had a spike in offensive performance but ultimately, it was the Wildcats' defense that determined victory. Bobby Brown scored 25 points and Xavier Sneed added 13 points and six rebounds to help lead Kansas State to a convincing 82-72 victory over Oklahoma State Wednesday night. 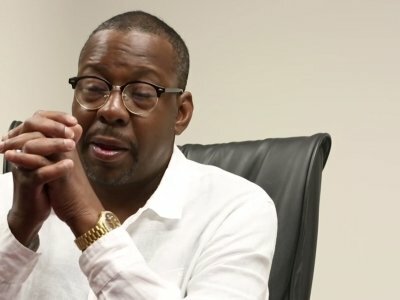 Bobby Brown is allegedly filing a lawsuit to stop TV One from broadcasting a movie about his late daughter Bobbi Kristina Brown. The television network is due to air a biopic about the star's daughter - who passed away two years ago after spending six months in a coma - on October 8, but a lawsuit allegedly filed by the 'My Prerogative' hitmaker halt the production in its tracks. Whitney Houston’s friends have claimed she was in a relationship with her female assistant. The ‘I Will Always Love You’ singer — who died in 2012 at the age of 48 — is the focus of a new Showtime documentary, ‘Whitney: Can I Be Me’, which explores how close she was to Robyn Crawford, 56, and looks back on the highs and lows of her life, and one of her pals believes she was bisexual. The oddly punctuated title has multiple meanings in “Whitney. Can I Be Me,” a documentary about the late singing star Whitney Houston, a woman torn among various factions and constituencies in a charmed, tormented and too-brief life. Bobby Brown paid tribute to his daughter on the second anniversary of her death. The 'My Prerogative' hitmaker tweeted a video of Bobbi Kristina Brown singing Adele's 'Someone Like You' along with an advertisement for the National Domestic Violence Hotline on Wednesday (07.26.17), which marked two years since the aspiring singer passed away after almost six months in a coma. He captioned the video: "I [purple heart] you BabyGirl #BobbyKristina (sic)"
Bobbi Kristina Brown's former partner Nick Gordon was arrested in Florida for alleged domestic violence against his current girlfriend, authorities said. Gordon's girlfriend went to the Sanford Police station Saturday and reported that she was hit by her live-in boyfriend, police said in a statement. Officers found Gordon at a local club house near the couple's home and took him into custody. He was arrested on domestic battery and false imprisonment charges, according to Sanford Police. ATLANTA (AP) — New Edition's ascension to the top of the charts in the 1980s was meteoric. They sold millions, but turmoil was as integral to their story as their hit records. 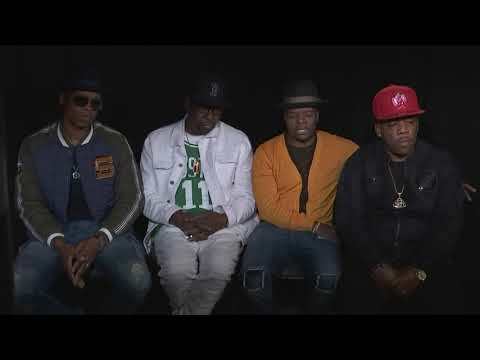 From the departure of Bobby Brown to other internal rifts to financial difficulties, the drama involving New Edition is as legendary as the band itself. ATLANTA (AP) — A judge in Atlanta on Thursday ordered Bobbi Kristina Brown's partner, Nick Gordon, to pay $36 million in a wrongful death case, her estate's lawyers said. Brown, the daughter of singers Whitney Houston and Bobby Brown, was found face-down and unresponsive in a bathtub in her suburban Atlanta townhome in January 2015. Gordon, who also lived there, and a friend were listed on the police report as being in the home when investigators arrived there. ATLANTA (AP) — A judge ruled Friday against Bobbi Kristina Brown's partner, Nick Gordon, in a wrongful death lawsuit filed by her estate, though the decision doesn't answer any of the questions surrounding her mysterious death. Brown, the daughter of singers Whitney Houston and Bobby Brown, was found face-down and unresponsive in a bathtub in her suburban Atlanta townhome in January 2015. She died in hospice care about six months later.